like many others, embraced the cult of the Lost Cause, refashioning his memory and beliefs in an attempt to make sense of the war, its causes, and its consequences. While some Southerners sank into depression, aligned with the victors, or fiercely opposed the new order, Lenoir withdrew to his acreage in the North Carolina mountains. There, he pursued his own vision of the South's future, one that called for greater self-sufficiency and a more efficient use of the land. 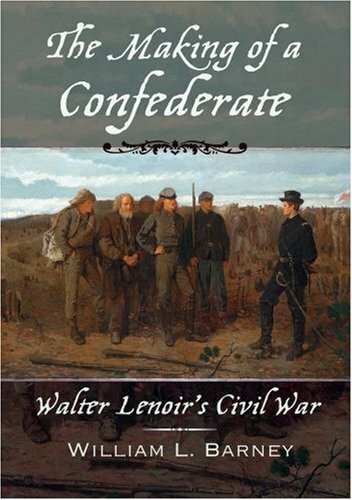 For Lenoir and many fellow Confederates, the war never really ended. As he tells this compelling story, Barney offers new insights into the ways that (selective) memory informs history; through Lenoir's life, readers learn how individual choices can transform abstract historical processes into concrete actions.